For stances, the judge should look for a strong base with correct length and width, correct weight distribution, a level center of gravity while moving, and good balance. For kicks, the judge should look for the correct chamber position and long, strong kicks with good extension and focus. A complete rechamber motion is important, as well as good power and foot speed, not just how high the kick is. For hand techniques, the judge should look for the correct chamber position, a long, strong technique, good reaction force (where applicable), proper focus, and the speed and power of the technique. Every technique should have a defined starting position, execution, and ending posisiton. Other considerations should be: competitive attitude, the proper timing of the complete form. The correct timing of the individual techniques, as well as student enthusiasm and a good kihap are important. Make certain the entire form was done correctly. To officially start the division, the competitors will line up and bow in to the assigned judges. The judges should “fire-up” the competitors and insure that everyone understands the rules and procedures. Prior to the initial bow-in and introductions, one of the judges should have collected all the competitor registration cards. The scorekeeper should record the names randomly to secure the order. When their name is called, the competitors should answer, “Yes, Sir/Ma’am,” run to the center of the ring, and stand at attention to wait for the judges’ directions. They should follow the judges’ instructions, and when given the command to begin, will demonstrate their forms at their own count. They should hold the position of the last movement until given the command to return and will not leave the ring until dismissed. An important aspect of judging forms is not letting personal preferences on how techniques should be done influence scoring. It is not feasible to expect every member of the ATF to do every technique exactly the same. Differences in body styles, age, and other criteria can make a difference in how an Instructor may teach a student certain techniques. This does not mean that one way is more nearly correct than another. Form judges must judge on the overall look of the techniques and not get caught up in “Well, my Instructor says it should be done this way and the competitor did it differently” concepts. The best “rule of thumb” is to watch the competitor as a judge and not as an Instructor but as a judge to a peer of competitors. If a competitor has the best kicks of the group, but kicks with the instep on round kicks (in a form that doesn’t require that); don’t reduce their score for just that. Judge the techniques and the form compared to the rest of the division. 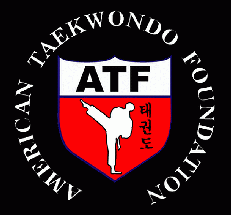 All color belts are allowed two chances to complete their form. The highest score they may receive on the second attempt is 7 ½. If any competitor fails to complete their form, he/she should receive a score of 6.5. A score higher than 6 may be given for a competitor that does not complete the form as long as the score is below the 1st, 2nd, and 3rd place competitors. A competitor that does not complete their form should not be able to place into the 1st, 2nd, or 3rd place spots unless there are 3 or fewer competitors in the ring. An incomplete form is defined as a competitor leaving out at least an entire segment or stopping any time during the form and not finishing. At times, some competitors may leave out a technique or two, turn the wrong direction, or may do an incorrect technique. This would not be classified as an incomplete form. Because the emphasis of the organization’s teaching is on quality of technique rather than solely memorization If a competitor leaves out a technique or two, turns the wrong direction, or does an incorrect technique, he/she should receive score reductions based on the point scale above. Judges are encouraged to make the best decision possible when scoring. The scores of all judges will be added to determine the winner. There will be three places awarded in form competition; a first place, second place, and a third place. First place will be awarded to the competitor with the highest cumulative point total from the three judges. Second place will be awarded to the competitor with the next highest total, and third place will be awarded to the competitor with the third highest cumulative point total. Ties are to be run off rather than decided in conference. If there is a tie in the forms competition, the tied competitors will be asked to do their form again. The forms will be done individually, not at the same time. If there is a tie for more than one place, the judges will decide the highest place first. Example: There is a two-way tie for first place and a two-way tie for third place. 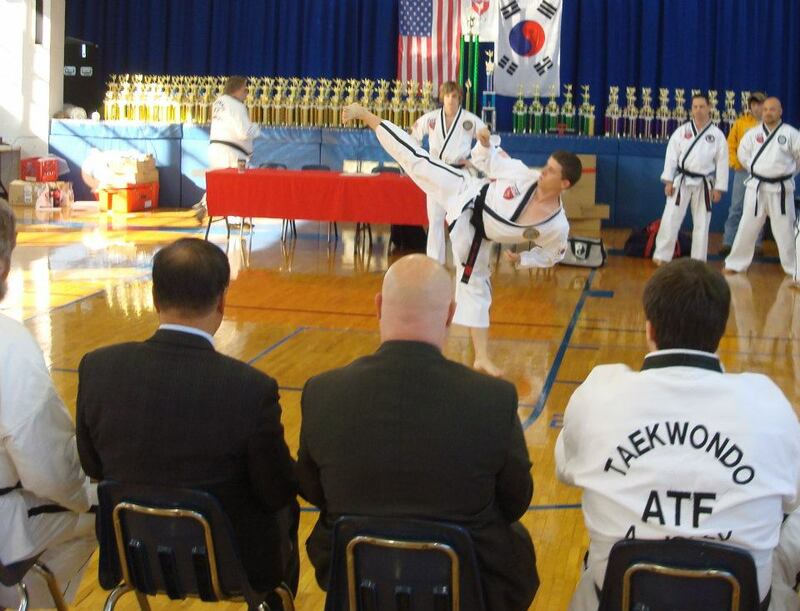 The center judge would have the two competitors tied for first place demonstrate their forms again and a decision would be made as to the victor. Then the two that tied for third place would perform next and a decision made. After all the tied competitors (for that place) have done their form, they will line up facing the judges. On the command of the center judge, all judges will point at the competitor they felt did the best. If at least two judges pick the same person, that person wins and will receive that place in the competition. If more than one more place was at stake, the judges will immediately decide the next best form, and so on, until all the positions are filled.